five stars through rose coloured lenses. Revenge and resurrection in a frozen wasteland! 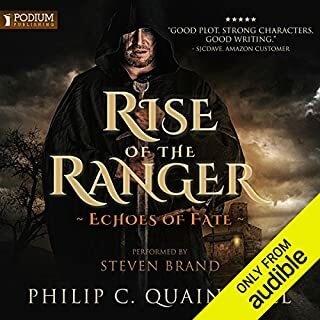 ©1996 TSR, Inc., 2007 Wizards of the Coast, Inc. (P)2013 Audible, Inc.
What made the experience of listening to Passage to Dawn the most enjoyable? Every story so far has been wonderful. This book does not disappoint. 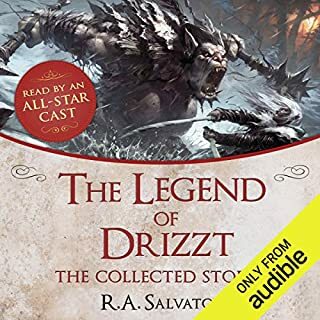 this story just adds depth to the Epic that is Drizzt. All characters Victor does pulls me right in. As always V.B. does a great job. Drizzt is the Shizzt. 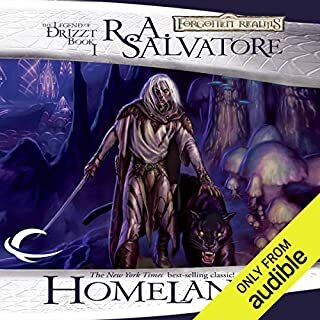 Even if this is your first story about Drizzt, It will you leave you wanting more. check it out. 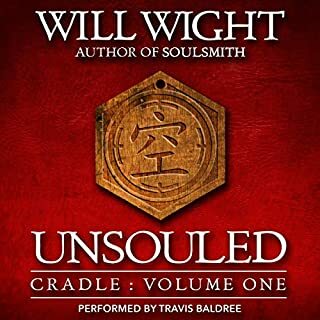 Would you listen to Passage to Dawn again? Why? 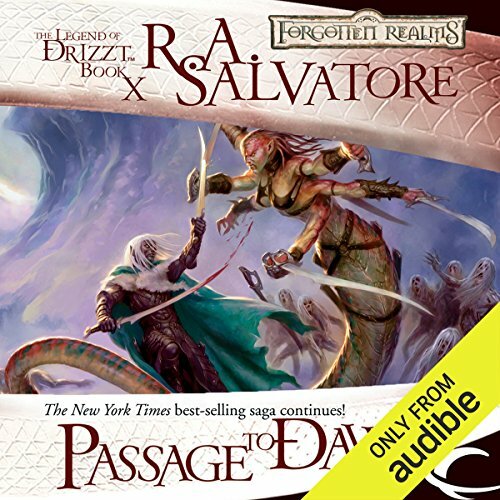 What was one of the most memorable moments of Passage to Dawn? What about Victor Bevine’s performance did you like? adventure on the high seas ! it is a pretty good book with harkell harpell,some scenes resembling pirates of the carribeans`s warship battles and ghosts. 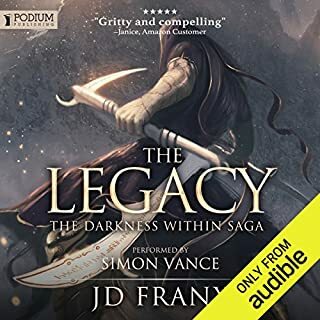 (this book was written way before).a good book in the drizzt legacy series.really looking forward to the hunter`s blades trilogy and others i missed. Brilliant story. the v.a. is too quiet then too loud! hewhispersforalldescriptions andforcesyoutoturnupthevolumetomax andthentalkslouderforcharactervoices!! absolutelyinfuriatingbeyondreasontihavetoraiseandlowerthevolumelikethis!!! 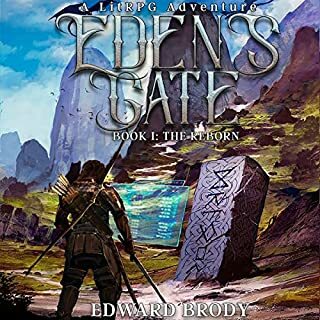 Great book, loved the ending, loved that Drizzt met cadderly, if you haven't read cadderly's books, also by Salvatore, read them! 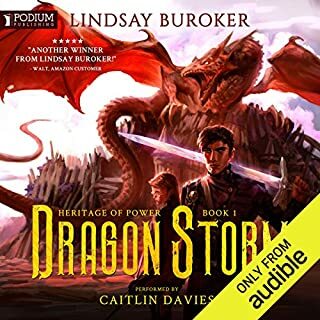 Is the narrator in a hurry? Did he ever pause? 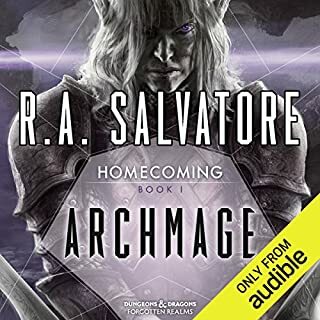 My tenth book in the Drow series and I still love it. The characters and story keep you wanting more. Thank you. 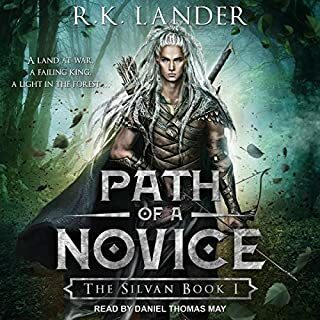 This was yet another fantasy book in the wonderful series of the Legend of Drizzt. 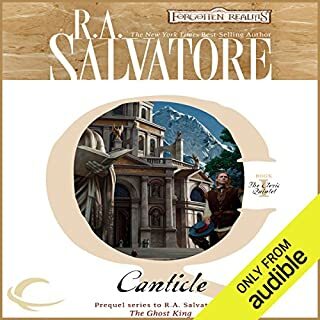 Salvatore continues to get the most out of this character while investing the reader/listener. 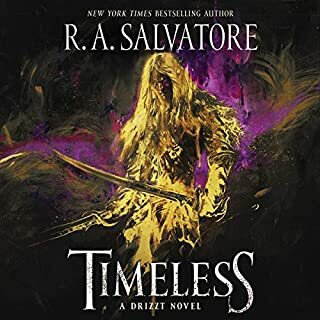 Drizzt going back to his most hated past to protect his friends shows that he is willing to make the ultimate sacrifice, which further separates him from his heritage. Easy fun story. 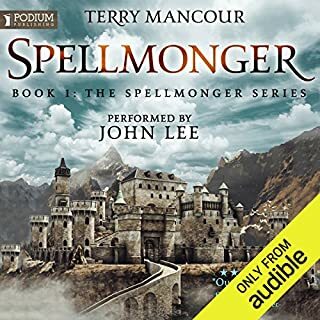 Loved it as the characters explored new realms and revisited old ones. painfully predictable throughout, with overly convenient plot progression points. excellent narration which saved this book. Great Story! Great Characters! Needs more Pickle though hahahahahaha! But still great books onto the next one!